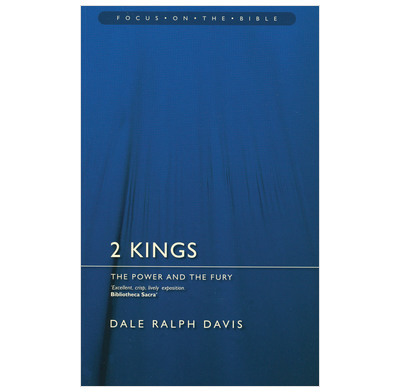 Ralph Davis' commentary on 2 Kings, helping the normal reader to access this less well-read part of Scripture. 2 Kings provides a fast-paced narrative of insight into the history of Israel under its monarchy. This book is a continuation of the narrative begun in 1 Samuel, and continues through 2 Samuel and 1 Kings. Ralph finishes it off with a captivating and rewarding journey through 2 Kings. Written between 561BC and 538BC, 2 Kings gives us a warning about the consequences of sin, especially the catastrophic repercussions of Israel's love affair with idolatry. Despite struggling with other problems, we see that the Jewish people learned from their experience. They never made a mistake of this enormity again. Through prophets such as Elisha and Elijah, we see God's compassion for his people and the opportunity for repentance. An opportunity spolit by Judah, climaxing with the subjugation of the kingdom by the Babylonians. Illuminating, accessible and laced with his unique sense of humour, Davis' practical devotional expository applies events to the contemporary reader providing parallels to alert us in the 21st Century.